Fall marks the beginning of the cooling down period in Florida where temperatures start to fall from the ghastly 99-degree temperature to a slightly more tolerable 85 degrees. Fall also marks the start of festivals throughout the Gainesville area, so check out these fall festivals in Gainesville if you're looking for family fun this season. From October 19 through October 27, the Alachua County Fairgrounds will host the 50th annual Alachua County Fair. From magic shows, pig races, and a real-life mustang horse trainer to the Fearless Flores Thrill Show, there’s plenty to see at the Alachua County Fair. There will also be food and drink stations including boiled peanuts, a beer tent, funnel cake, ice cream, and pizza: everything you need to enjoy a fall day at the fair! Presale tickets are available online. Bring the whole family to this fun-filled fall festival at First United Methodist Church of Alachua in Gainesville. On Sunday, October 21 from 3 p.m. to 6 p.m., come out and enjoy a hay maze, hayride, bounce house, face painting, and plenty of games. The best part is that the event is completely free! You can also pick up a pumpkin to carve later while you’re at the event. The 30th annual Howl-A-Palooza will be kicking off on Sunday, October 21 from 3 p.m. to 6 p.m. at Sun Country Sports West. Kids can look forward to free food, drinks, prizes, games, a haunted house, hay ride, and so much more. There will also be a costume contest, and Howl-A-Palooza isn’t excluding adults… there’s also one for the parents! All proceeds from Howl-A-Palooza will go to the March of Dimes and the Phoebe Louise Dooley Foundation. Tickets are still available online for $15 per person. The 24th annual Boo at the Zoo is a cherished tradition for children and families throughout Gainesville. What is Boo at the Zoo? Santa Fe College Teaching Zoo is completely transformed on Halloween day (3 p.m. to 7:30 p.m.) into a scary but safe trick-or-treating space where kids walk around the zoo and collect candy from 14 different themed stations. There will also be dance performances and Domino’s Pizza available for purchase. Admission to the event is one canned item per person, and these are donated to two Gainesville charities; Gainesville Harvest and Catholic Charities. Pro Tip: parking can be hectic for this event, so be prepared to come early, or you might have a long walk! 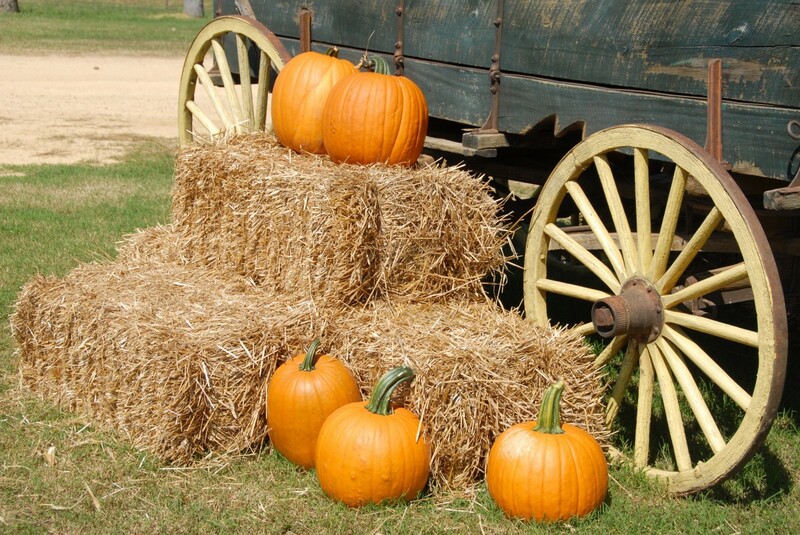 These family-friendly fall festivals in Gainesville are sure to get you in the spirit of the season even though Florida weather doesn't drastically change. For more events in Gainesville, register on 352area and stay up-to-date on everything going on in North Central Florida.